$100 per person - Bring your own loom. Materials will be provided. Breakfast and lunch will be served both days of the workshop. Yarn will be supplied by Jane Hoffman & Waugh Mountain. For more information about area hotel accomodations click here. 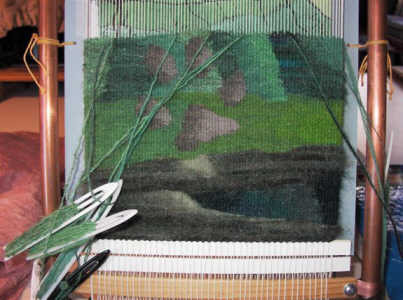 Intermediate level intruction on tapestry weaving at our beautiful ranch setting. This is a follow up on the beginner class held August 2008. Fellowship with friends old and new. Advance reservations required. A picture is worth a thousand words so have a look at these beautiful examples of completed tapestry pieces and works in progress. 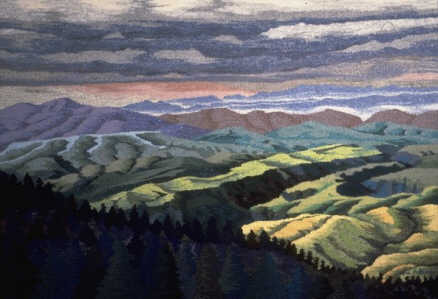 Jane received her degree in Art from Western Washington University. 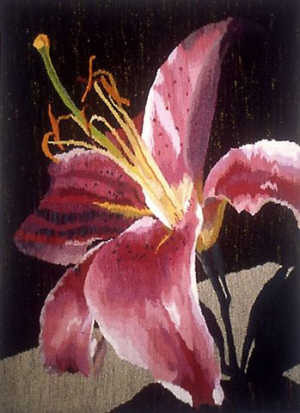 She is a juried member of Arizona Designer Craftsmen, and a member of Twisted Threads Fiber Guild. Her art has been exhibited internationally. Jane has a natural dye plant garden and sells her natural dyes and natural dyed tapestry yarns. She uses both her natural dyes and Procion fiber reactive dyes to create her yarn palette of soft graduated hues for her tapestries. Jane is an Associate Faculty member of the art department of Northland Pioneer College. 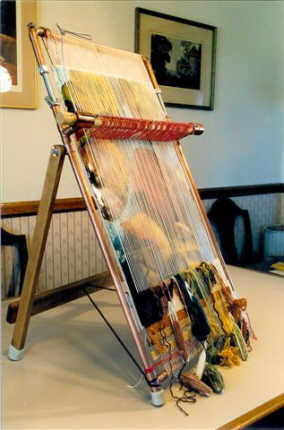 She teaches a variety of fiber arts including tapestry, felt making, loom building, design, and dyeing. 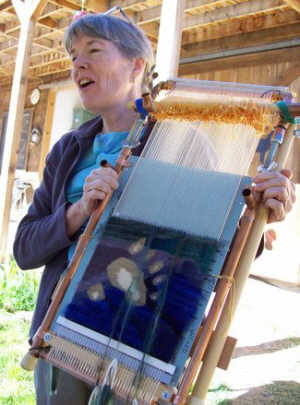 She has taught independent study courses for Prescott College, workshops at Desert Weaving Workshop in Tucson, Sedona Art Center, Twisted Threads Fiber Art Guild, the High Country Fiber Arts Retreat, and Fiber Through Time, and at her studio/farm on the Blue River near the Arizona/New Mexico border.